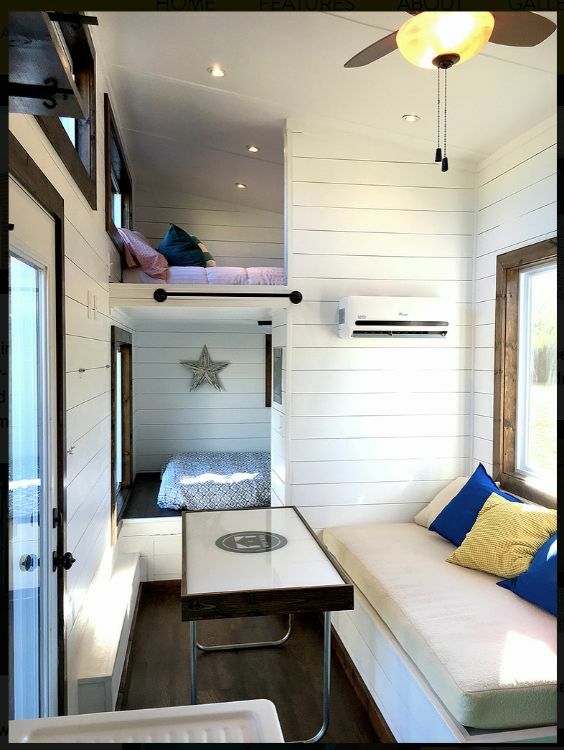 Tiny homes have been on the upswing lately, and living large in a small space is really what tiny living is all about. Although people like the idea of going tiny, they don't want to give up their freedom to choose how their home is designed. 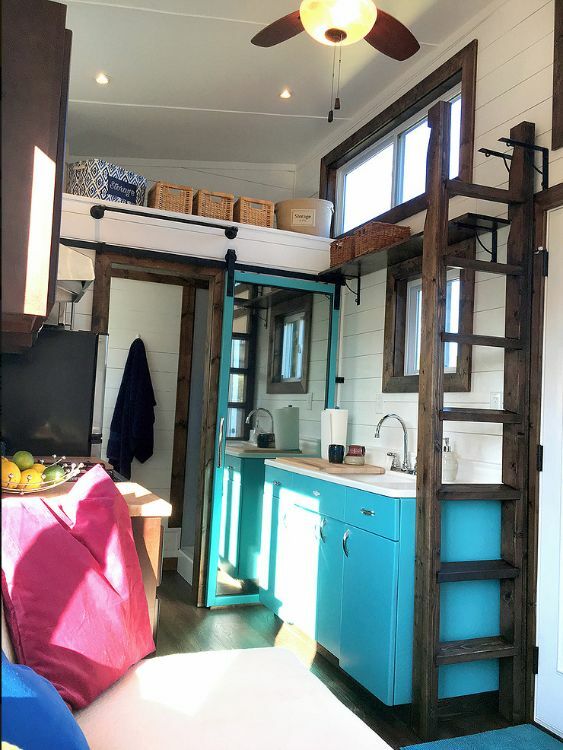 Some don't like the idea of climbing into a loft every night, so Harmony Tiny Homes' designer Bryan Booth has created a new tiny home on wheels called the Youngstown that offers two queen-sized beds: one upstairs and one downstairs. 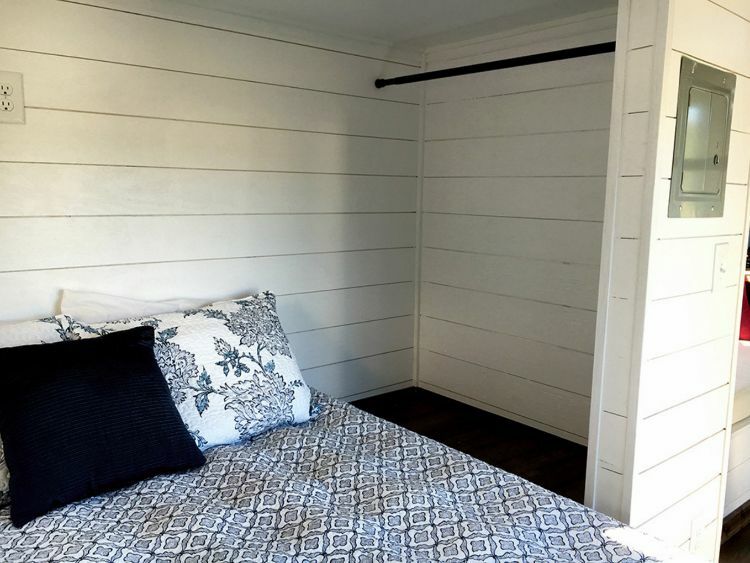 Located in Oxford, Alabama, Harmony Tiny Homes states that Booth has been in the home construction business for 17 years and brings with him all the expertise he has gained over that time. 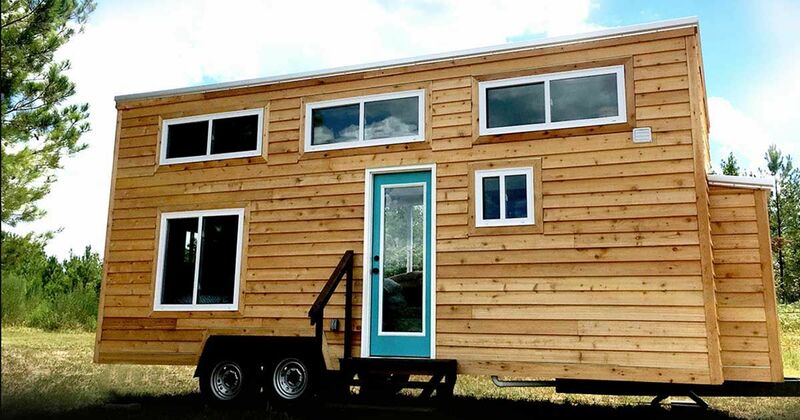 Designing and building custom tiny homes has become his passion. 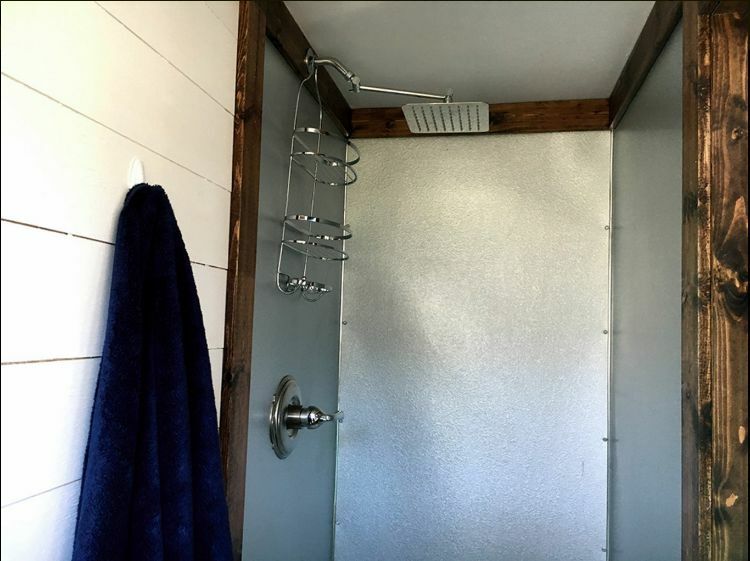 He holds an Alabama Home Builders License, and every home that Harmony puts out is inspected by the National Organization of Alternative Housing. 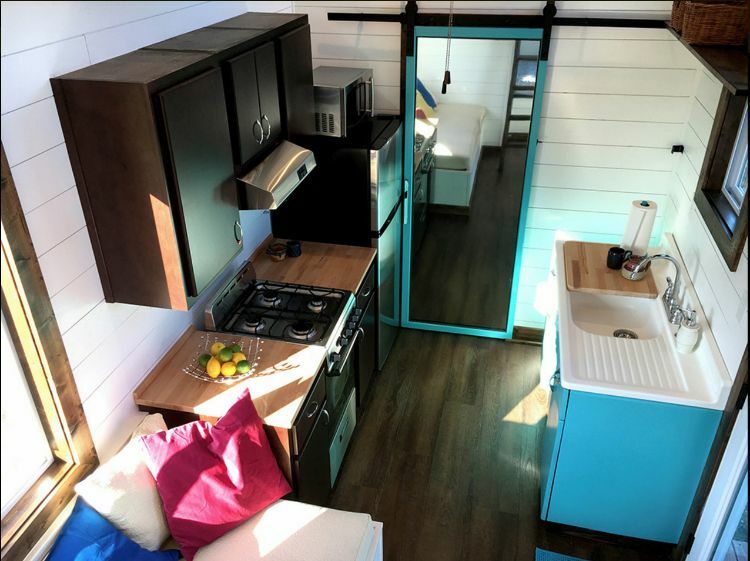 The Youngstown's post on Tiny House Listings states that the house is 270 square feet (25 square meters). 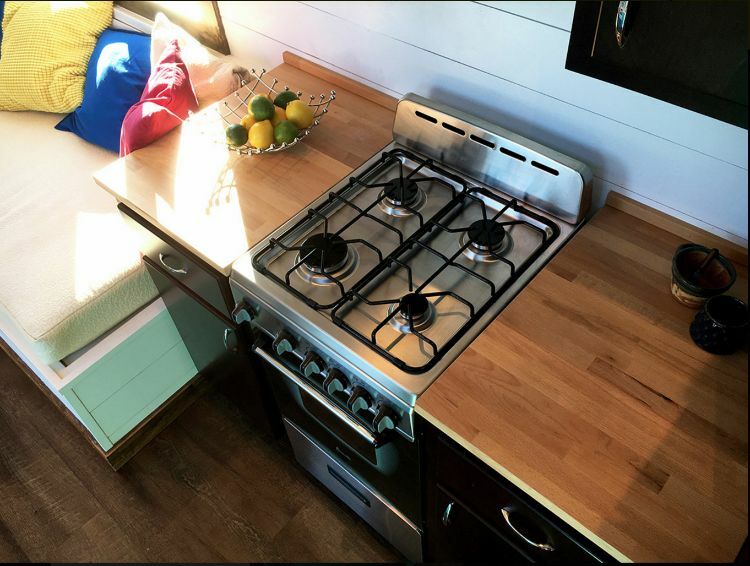 The kitchen contains a gas range, butcher block counters, a 10-cubic-foot (0.28-cubic-meter) refrigerator and a microwave. 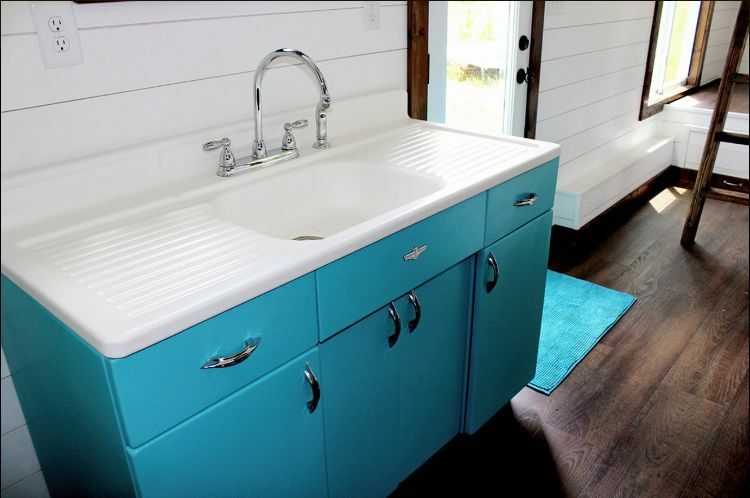 A vintage, 1940s Youngstown kitchen cabinet and sink have been fully restored and are the tiny home's namesake. The ladder to the loft stores off to the side, and one of the two lofts contains additional storage containers. 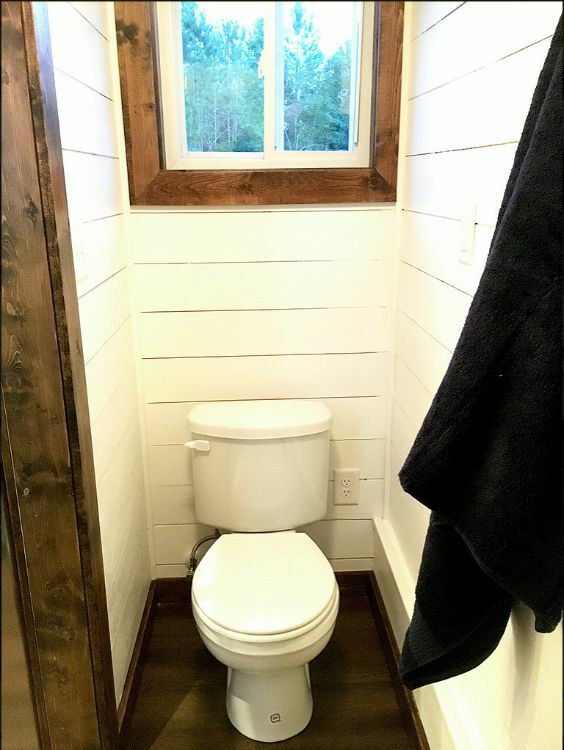 A standard, flush toilet is in the bathroom, but it can be replaced with a composting toilet if the buyer so desires. The 32-inch (81 cm) shower is large enough for a tall person to stand comfortably inside and take a shower. In the main sitting area, a couch that is big enough to act as a twin-size bed is used for sitting at the table. When the table isn't in use, it stores out of the way on the wall. 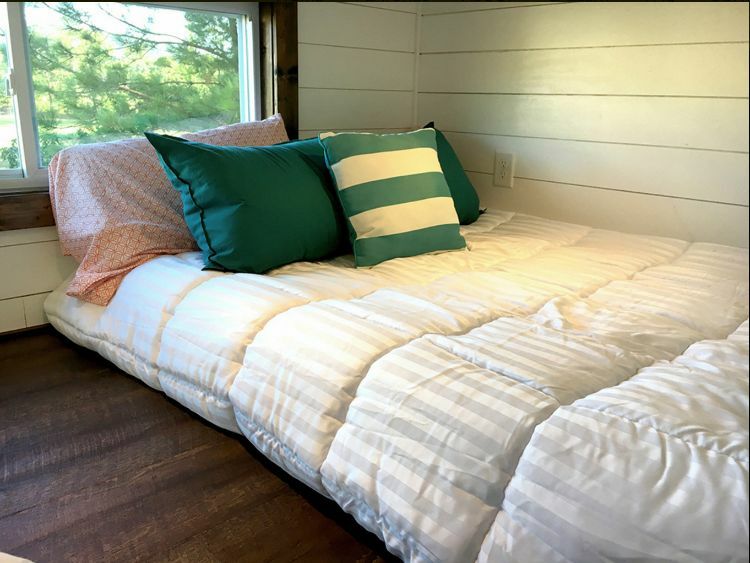 One of the nicest features of the Youngstown house is its downstairs queen-sized bed with built-in closet space. 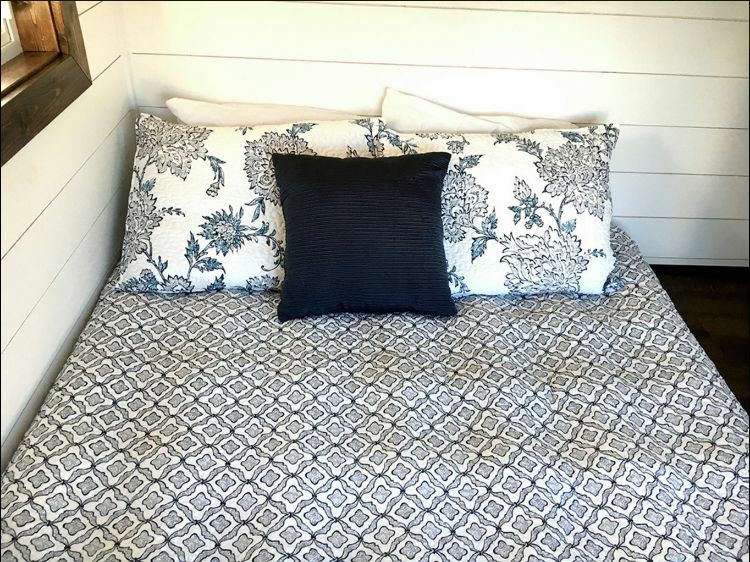 For those who want a larger bed or don't want to be on the main floor, the upstairs loft above the bed can be for either a king-sized or queen-sized mattress. The outside of the home is covered in cedar siding, and the inside cabinetry is made from beechwood. 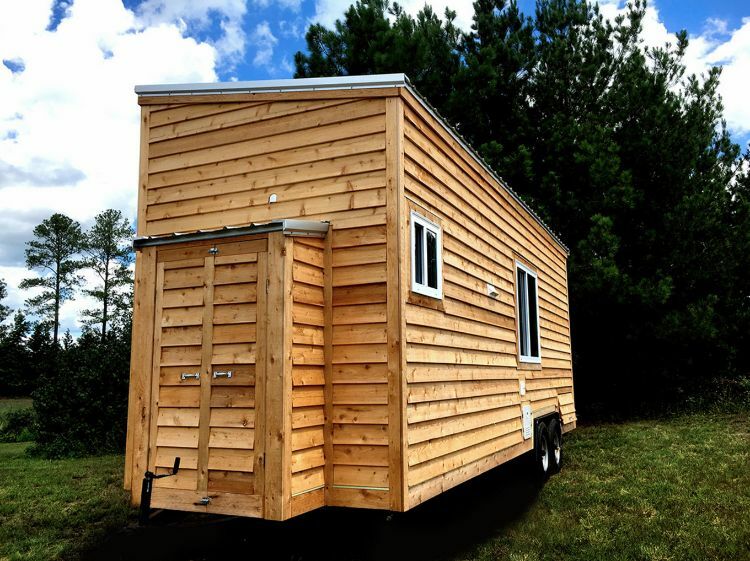 All in all, the Youngstown is a pretty sweet package, and it's up for sale on Tiny House Listings. Booth has created a masterpiece in this tiny building. Through upcycling and repurposing different items, he has blended the old with the new and created a piece with both form and function — quite an amazing feat.